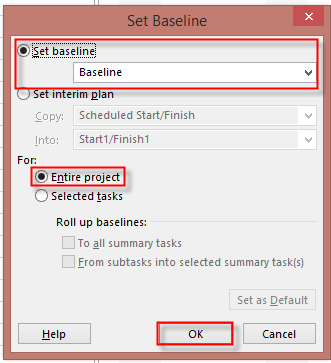 in this post I will explain what to do with your Project when you are late, and how to make your schedule Accurate! As you can see, Task1, and Task 4, are split, an all other Tasks are moved with Respect on their Predecessors. 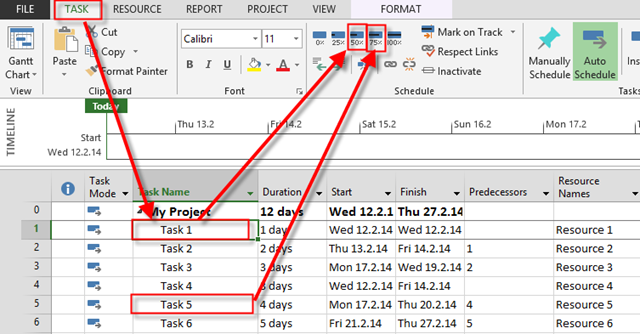 Remaining parts of Task1 and Task 4are supposed to star the day after Status date, in my example at Tuesday, 18.02.2014. This entry was posted in MICROSOFT PROJECT, Microsoft PRoject 2010, Microsoft Project 2013, PMI, PRoject Management and tagged Microsoft Project 2010, Microsoft Project 2010 - tracking, Microsoft Project 2013, Microsoft Project 2013 - tracking, MS PROJECT, ms project - scheduling. Bookmark the permalink.